It’s true that ‘imitation is the sincerest form of flattery’, but how would you feel if you spend thousands of dollars for an antique item that is just a good imitation? You never question the originality of an antique item sold by a professional antique dealer. But frauds happen especially when you buy online. Every online seller promises 100% original items, but how can you be sure of that without seeing the items with your own eyes. So far the only advantage of buying antique items online, is the fact that you can compare different items from the comfort of your home. However, the online shopping can’t replace the advantages you can get by shopping from traditional antique stores. Even though you have more options to choose from when shopping antiques online, still for most people buying online is not a safe process. Yes you can see images online, but how can you be sure that the photographs are original? Sellers can simply brush up the images or replace the real photographs with fake ones. That calls for an attention. If you decide to buy antiques online, then you definitely need to check the reputation of the seller. You should always look for reputable and reliable online sellers. Shopping from traditional antique stores is another story. When at the store, you will have the chance to see the items, and also to find out whether the dealer has some antique knowledge or expertise. 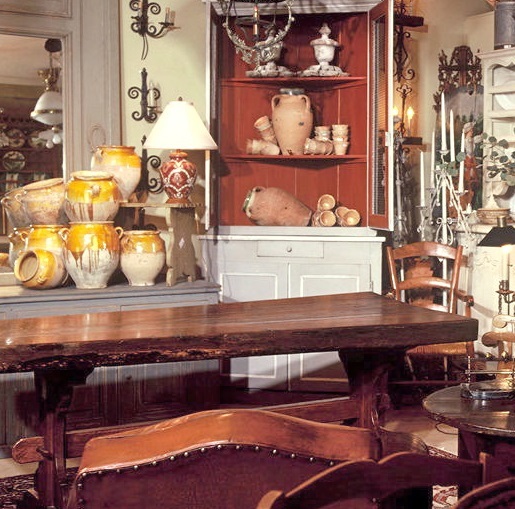 Continue reading to see the benefits of shopping in antique stores. When you shop in traditional antique stores, you are capable to take a peak inside the seller store if you want to determine the items’ authenticity.